This book is one of my favorites from when I was a kid simply because it hit on a lot of “firsts” for me. It was the first dystopian-like book I’d read, it was the first book where I realized more was going on than just a basic story, and it was the first cliffhanger ending I had dealt with. While I don’t want to go into much detail of this book because if you’ve never read it I don’t want to spoil it but I will try to give a brief summary. The novel centers around Jonas, a young boy that’s lives in a very structured community where laws, practices, and regimented life is the norm. The town is fairly isolated, as we know very little about the outside world, but we come into the story during a time where a ceremony is about to take place that will decide the life of each boy and girl. Essentially, it’s a job assignment day that will set their paths for years to come, if not their entire life. Things go a little awry when Jonas is not given a typical job but rather a unique position as the Receiver of Memory. In his new job, Jonah is the recipient of memories, both good and bad, of the world that used to be. Good memories like sunshine and bad ones like sunburns, and things like love, war, and hunger, are all dumped on Jonah and he begins to awaken to the fact that the world he knew was very limited compared to how things used to be. After a while, Jonah learns of a terrible fate of the babies that are born in the community that are deemed not fit to be raised in their world and he kidnaps one named Gabriel. We end the book with Jonah escaping his community, looking for hope and a new world. This book is part of a series of four novels by Ms. Lowry and I think it is a great read that really asks the question of whether a “utopia”, as good as it could be, is worth it because of what we might have to sacrifice. 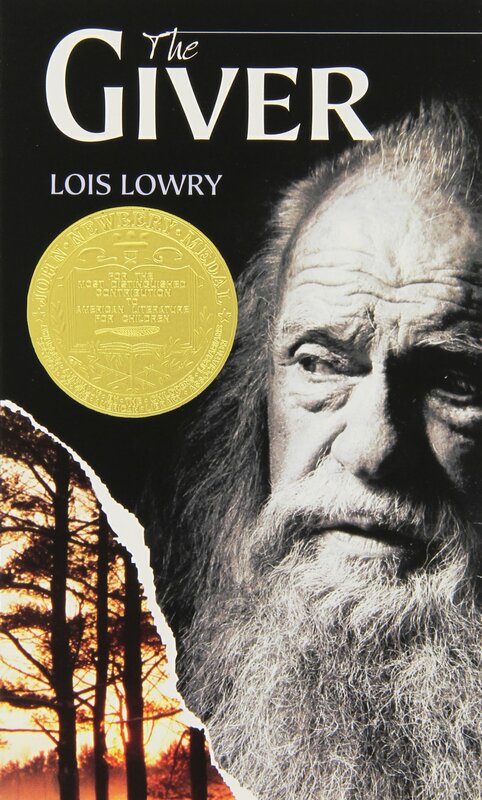 This books is one of the earliest novels I remember reading that kept me enthralled and shocked at times, and I think it’s a great novel for young readers because it’s an exciting story with a unique premise that can lead the reader to a lot of great questions about what Jonah is going through.